Kyle and Krystal Robinson have been providing athletic coaching for over 5 years. In addition to BMX Coaching, they have both provided general health and fitness coaching. Kyle also specializes in mountain bike training as well. Kyle and Krystal truly enjoy coaching and mentoring others and finding true satisfaction in watching them reach their goals. Kyle Robinson began his BMX career at the age of 5 and Kyle turned "Expert" within his first year of racing.Placing 2nd in the World Championships at the age of 15, Kyle understands the high level of competition matched with the skills and training required to race on an international level. Kyle was also able to win the 2014 Eastern Division Title and subsequently, the National Age Group (NAG) Title in the 26-30 Men's Cruiser class that year. In 2015, Kyle secured the #2 plate in Cruiser and finished 17th nationally in the 28-35 Expert Class. Kyle is well known for his bike handling skills as well as his ability to make moves when it matters the most. His confidence, consistency, and dedication has made him a highly skilled rider and he hopes to instill those values in riders through coaching. 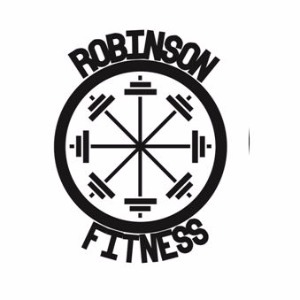 Krystal brings a wealth of experience and knowledge to Robinson Fitness. Krystal was a member of the USA World Championship Team that raced in Victoria, Canada in 2007. In 2015, she was able to secure the President's Cup in the 26-30 Women's Class with national age group finishes of 2nd on Cruiser and 5th on 20". Krystal attributes her success to a focus on overall health, nutrition and fitness. Krystal understands the mind of female and young athletes and the challenges that they face. She believes that her skills, experiences, and positive attitude make her a successful coach. Success. Coach Kyle Robinson has been notified of your message.